Last night on "Jimmy Kimmel Live," Kimmel pranked self-identified Hillary Clinton supporters and Donald Trump haters into endorsing elements of Donald Trump's tax plan. Trump released his plan, which raises taxes on the very right and slashes corporate tax rates, as well as eliminates income taxes for people making less than $25,000 a year, two days ago. To be fair, the election is still well over a year away, and voters have plenty of time to learn the nuances of their candidates' positions before making a decision in the voter's booth. This being said, hopefully this video is able to open eyes on both the left and the right to remind people that their preconceived notions about a candidate may not be correct. Why Isn't the Congressional Black Caucus Protecting Blacks? The undisputed result of liberalism/socialism is death, destruction and poverty. Author Michael Scheuer wrote, the Democratic Party is the party of the four S’s: slavery, secession, segregation and now socialism. A pundit wrote, the Republican Party is the party of the four F’s: faith, family, freedom and fairness. Due to the utter corruption of the mainstream media and our education system, both run by liberals, Democrats have been able to indoctrinate most black Americans into believing that liberalism is good and conservatism is bad. In addition to the NAACP, another ally of the Democratic Party’s destructive policies is the Congressional Black Caucus. 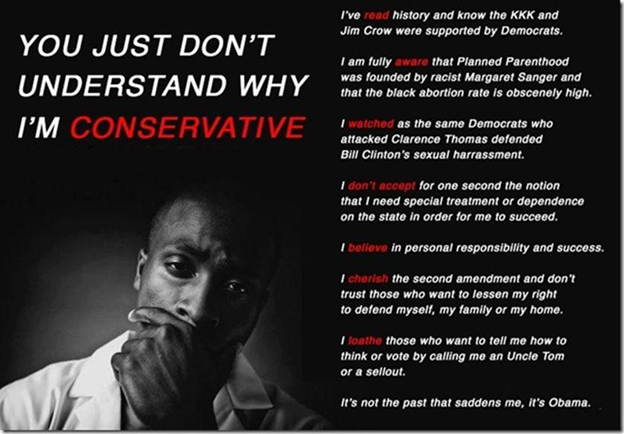 Below is an excellent explanation from a black perspective about what it means to be conservative. Donald Trump publicized his tax proposal in the below article that was published in “The Wall Street Journal.” His tax plan is designed to spur economic growth that will generate both an increase in private sector jobs and federal revenues. Four tax brackets: 0%, 10%, 20% and 25%. No marriage penalty, no alternative minimum tax. The first priority for the government of the United States should be to provide security for its people. That security includes removing uncertainty and making sure that the economic future of the country is assured through better deals, smarter trade agreements and tax policies that unburden the middle class and unleash the private sector. My approach to tax policy will do just what needs to be done. For all Americans, the uncertainty and complexity of a tax code written for special interests and the very rich will be removed and a clear future will be available for all. My tax plan has several goals. Let me make it clear that this set of policies takes dead aim at eliminating deductions and loopholes available to special interests and the wealthy, as well as those deductions made redundant or unnecessary by the much-lower rates every person or business will be paying. In particular, I am proposing ending the current treatment of carried interest for hedge funds and other speculative partnerships that do not grow businesses or create jobs. The first goal of the plan will be to provide tax relief. If you are a single person making less than $25,000 or married or filing jointly and earning less than $50,000, you will not owe any income tax. This will remove some 75 million households from the income-tax rolls. Second, the tax code will be simplified. Instead of multiple tax brackets with multiple variations, there will be only four brackets: 0%, 10%, 20% and 25%. This new code eliminates the marriage penalty and the alternative minimum tax while providing the lowest tax rates since before World War II. Further, this plan eliminates the death tax, thus allowing families to keep what has been earned. The proposed policies will allow the middle class to keep most of their deductions while eliminating many of the deductions for the very rich. With more money in middle-class pockets, consumer spending will increase, college savings will grow and personal debt will decline. Third, we need to grow the American economy. For the past seven years, the economy has been at a virtual standstill. Growth in the gross domestic product of less than 2% a year is pathetic. We need to spur production, bring home jobs and make it easier to invest in America. My plan states that any business of any size will pay no more than 15% of its business income in taxes. This low rate will make corporate inversions unnecessary and will make America one of the most competitive markets in the world. This plan will also require companies with capital offshore to bring that money back to the U.S. at a repatriation rate of only 10%. Right now, the money is not being brought back because the tax is so high. Finally, this plan will not add to our deficits or to the national debt. With disciplined budget management and elimination of waste, fraud and abuse, this plan will allow the nation to balance the budget, boost the economy to record levels, clear the backlog of workers sitting at home and begin the process of reducing the debt. With moderate growth, this plan will be revenue-neutral. As president, I will pursue policies that will ensure huge economic growth and put this country on the road to extraordinary prosperity. Any candidate can roll out a tax policy, but this one has the economic well-being of the country and its citizens at the forefront. This plan is bold, but it is also cast in reality and common sense. Growing the economy will provide the security we need to make America great again. 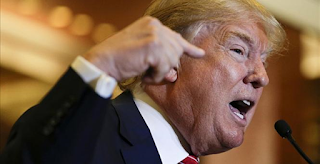 Mr. Trump is a candidate for the Republican presidential nomination. Planned Parenthood butchers the unborn for profit. That organization was caught dealing in aborted baby body parts. On video, top officials were exposed cutting probably illegal deals and coldly discussing techniques to extract certain "valuable" parts, while joking about pricing and procedures. One horrific video shows a Planned Parenthood doctor, harvesting the brain of an aborted baby who was still alive. This is both immoral and outrageous! 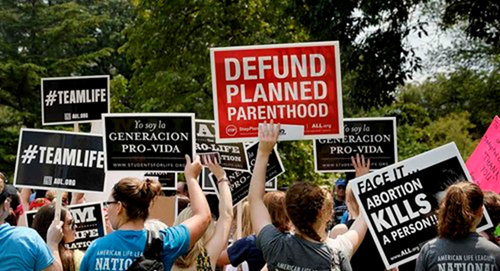 Planned Parenthood, our nation's giant abortion mill, gets about $500 million from our federal government each year. 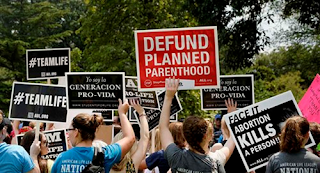 The time has come to defund Planned Parenthood and end using our tax dollars to fund this criminal syndicate. 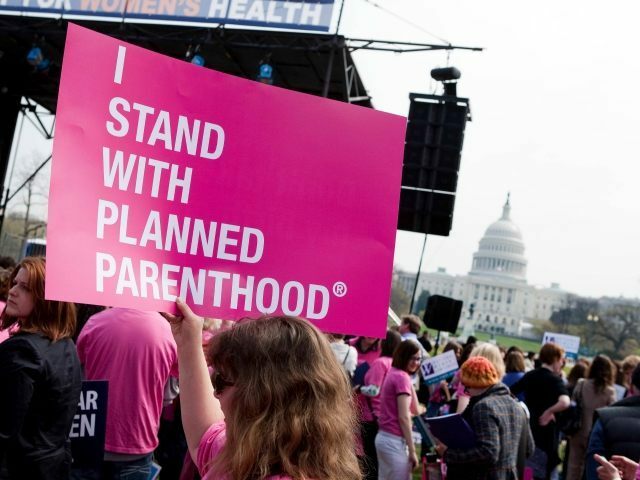 The below article provides the details of how Planned Parenthood targets black babies and states the chilling revelation that "the most dangerous place for an African American is in the womb." At the annual NAACP convention in Philadelphia, one pastor protested the group's support for legal abortion, using a huge, attention-grabbing poster of the confederate flag side by side with the picture of an aborted child. 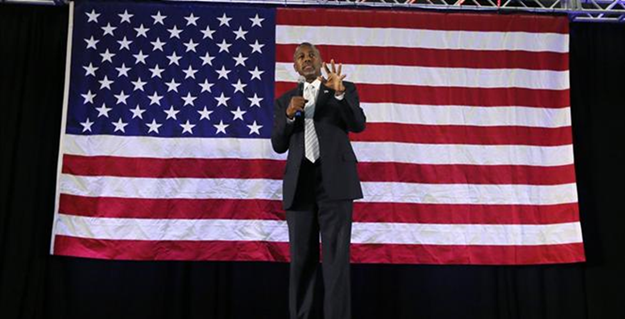 Even after the criticism, Carson refused to walk back his comment, although he did offer more clarification. "Those Republicans that take issue with my position are amazing," he wrote in a Facebook statement. "Under Islamic Law, homosexuals – men and women alike – must be killed. Women must be subservient. And people following other religions must be killed. I know that there are many peaceful Muslims who do not adhere to these beliefs. But until these tenants are fully renounced ... I cannot advocate any Muslim candidate for President." And to be fair, he told Fox News’ Sean Hannity that he wouldn’t advocate putting a Christian in the office if they wanted to turn the country into a theocracy. “We don't put people at the head of our country whose faith might interfere with them carrying out the duties of the Constitution,” he said. Not only do a number of Americans agree with his comment—based on the amount of money pouring into his campaign since then—but he’s also received support from Dr. Tawfik Hamid, a former Islamic extremist. “These Shariah values and principles, which are so hostile to the American Constitution, are still an integral part of mainstream Islam,” he noted. Thus, Carson is absolutely correct. Ever since President Obama took office, the poverty rate among children has soared to 22 percent, with three million more children living in poor conditions, according to an authoritative new report. The 2015 "KIDS COUNT" report from the Annie E. Casey Foundation said that the percentage of children living in poverty jumped from 18 percent in 2008, the year Obama was elected, to 22 percent in 2013. It added that the rate dropped from 2012 to 2013, in line with the improving economy. The rate of child poverty for 2013 ranged from a low of 10 percent in New Hampshire, to a high of 34 percent in Mississippi. 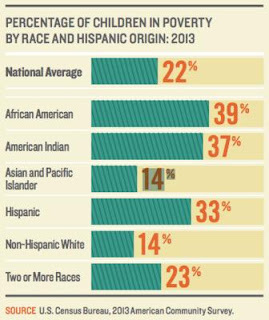 The child poverty rate among African Americans (39 percent) was more than double the rate for non-Hispanic whites (14 percent) in 2013. The report also explained that a lack of jobs or good income above the poverty rate of $23,624 was the reason more children have grown up in poor families. In 2013, three in 10 children (22.8 million) lived in families where no parent had full-time, year-round employment. Since 2008, the number of such children climbed by nearly 2.7 million. Roughly half of all American Indian children (50 percent) and African-American children (48 percent) had no parent with full-time, year-round employment in 2013, compared with 37 percent of Latino children, 24 percent of non-Hispanic white children and 23 percent of Asian and Pacific Islander children." Democrats’ old, white presidential field and reliance on retread candidates shows there is “something wrong” with the party. 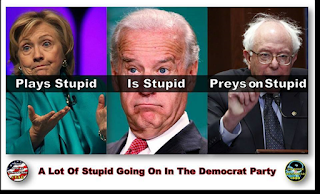 Ed Rogers writes in the Washington Post: There is something wrong with the Democratic Party. The candidate who is providing the only real sizzle in the Democratic presidential race right now is Bernie Sanders, a 74-year-old socialist senator from Vermont who is something of an oddball. Hillary Clinton, their front-runner, a soon-to-be 68-year-old party stalwart, is stale, bogged down in scandal and can’t draw a crowd. So, who is it that many in the Democratic Party are looking to as the party’s “savior” in the face of the unremarkable Democratic field so far? Answer: Joe Biden, a 72-year-old, former six-term senator from Delaware and the current vice president. And this isn’t the only evidence that the Democrats have a problem. There is fundamentally something wrong with their candidate pool. In the 2014 midterm elections, the Democrats’ top two senatorial candidates, Alison Lundergan Grimes in Kentucky and Michelle Nunn in Georgia, were generational retreads trying to capitalize on famous fathers from a generation ago. And the Democrats’ trophy gubernatorial candidate, Charlie Crist, was a former Republican governor of Florida. If you've been following the latest "controversy" over my comments about Islam, you know the arrows are out for me. Many parts of Sharia Law are not compatible with the U.S. Constitution. Under Sharia, homosexuals -- men and women alike -- must be killed. Women must be subservient. And people following other religions must be killed as well. There are many peaceful Muslims who do not adhere to these beliefs. But until these tenets are fully renounced I cannot advocate any Muslim candidate for President. I also can't advocate supporting Hillary Clinton for President by the way. Because I shared my honest opinion, I've come under intense fire from the media, nearly every leading Democrat, and even some of my Republican peers. The Council on American-Islamic Relations (CAIR) has called for me to drop out of the presidential race, saying I am "unfit to lead." I will not back down -- but I need your help to push back right now. Too many Americans have been persuaded to follow the Far Left's political correctness (PC) speech code, believing that if only we are extra careful to not offend anyone, we will achieve unity. This would not be unity -- it would be paralysis. Political correctness run amok is preventing us from speaking honestly about our challenges, our differences and our culture. It's dangerous and I will not abide by it. I'm not a politician with my finger in the wind, and running for President was not on my bucket list. So I'm not going to say whatever I need to say to get elected. I am going to speak the truth as I know it, and do what I believe is right and just -- even if it makes some uncomfortable. I believe deeply in every word of the U.S. Constitution and the Judeo-Christian values that form its foundation. As your President I would swear to preserve, protect and defend it. The Far Left and even some of my Republican peers are trying to use this episode as a way to bring down my candidacy, but together we can emerge stronger than ever. Please stand in support of our shared values and help me show the power of "We the People" by making a donation now. Thank you for your time, your support, and your dedication to creating a better American future for the next generation. 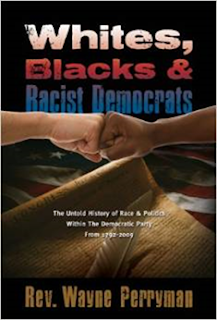 Ninety percent of the racism in America today comes from the Democratic Party and the Left. They live off it and exploit it. It is unconscionable to the degree they do this, ruining the lives and futures of the very people they say they are helping in the process. I am uniquely positioned to say this because I spent most of my life on the Left and was a civil rights worker in the South in my early twenties. I was also, to my everlasting regret, a donor to the Black Panther Party in the seventies. So I have seen this personally from both sides and my conclusion is inescapable. The Left is far, far worse. They are obsessed with race in a manner that does not allow them to see straight. Further, they project racism onto others continually, exacerbating situations, which in most instances weren’t even there in the first place. From Al Sharpton to Hillary Clinton, they all do it. Barack Obama is one of the worst offenders in this regard. Recently, in reaction to the horrid actions of the deranged, but solitary racist Dylann Root, the president claimed racism is in our DNA. How could he possibly utter such nonsense and who was he talking about? The majority of Americans are from families that came to this country after slavery existed. Many of those were escaping oppression of their own. In my case my family was fleeing the pogroms of Eastern Europe. Many of the members of my family who stayed behind ended up gassed in Auschwitz or exterminated in Treblinka. Is Obama telling me that racism is in my DNA? What a wretched and insulting statement. If he means that, he should tell it to me face-to-face. If he does, I will tell him what I think. The racial situation in this country has gotten decidedly worse since he took office. And he is a great deal to blame. Ever since the beer summit it was obvious he was disingenuous and harmful on the subject of race, seeking to stir the pot when it was actually empty or nearly. His claim that if he had had a son he would look like Travyon Martin was ridiculous and self-serving in the extreme. Barack Obama is a product of the fanciest private school in Hawaii and his children go to Sidwell Friends, the fanciest school in D. C. He takes vacations on Oahu and his wife parties in Switzerland. He had as much in common with Trayvon as I do with the queen of Spain. And speaking of foreign lands, I’ve spent time abroad and speak Spanish and French and if Mr. Obama thinks the U.S. is a racist country, he ought to do a little bit of traveling not on Air Force One. Try sitting at a French dinner table for twenty minutes and listening to the casual conversation if you think America is racist. The truth is the USA is remarkably un-racist for a country its size. We weren’t always that way, obviously, but we walked the walk and we are now. Or were. The Democrat Party and its assorted media hacks are trying to take us backwards. They suffer from nostalgia for racism for the glorious days when they could assert their moral superiority. Sorry, those days are over. The only way to stop remaining racism is to stop it, not talk about it, impute racism to people who don’t have it and generally do everything possible to divide the American people from themselves. And, Democrats, above all if you care about black people, stop it. All you’re doing is making their lives worse. Editor’s Note: In reality, the Democratic Party has no historical claim to “moral superiority.” This is the only issue I take with the above article. As author Michael Scheuer wrote, the Democratic Party is the party of the four S’s: slavery, secession, segregation and now socialism. For details about the racist past of the Democratic Party, please see our NBRA Civil Rights Newsletter posted on this blog. It’s no joke. In a remote pocket of northwest Detroit along the Rouge River, neighbors are so desperate to stop a cycle of abandonment and blight they’re recruiting a squatter to occupy a home whose longtime owners left last weekend. That’s because neighbors fear the onetime farmhouse on Puritan and Hazelton will be stripped and torched if it remains empty for long. Eight nearby houses burned in the past two years. A few blocks away, there are more weedy lots than homes. In this case the homeowners are asking potential squatters for references, so as to avoid drug dealer squatters. How about some Syrian squatters? “The over-arching theme is that the city of Detroit does nothing, so we’re forced to do our own thing,” said Brown, 34, a Wayne County Community College professor. Brown also made headlines last year. That’s when she and her husband, David, bought a $2,000 house in the neighborhood in hopes of forming a kibbutz, a Jewish communal settlement. City officials seized backyard goats and charged the couple with violating ordinances. The full article is here, hat tip goes to a loyal MR reader. Most political women pander to gender, but Fiorina wants to make it on the merits. Asked during Wednesday’s GOP debate which woman he’d put on the $10 bill, Jeb Bush named Margaret Thatcher. As Mr. Bush then joked that it would probably be illegal to put a British prime minister on American currency, eyes flicked to the woman standing to his left. Quite so. Carly Fiorina isn’t Margaret Thatcher, just as her Republican rivals aren’t Ronald Reagan. Yet Ms. Fiorina has a bit of Thatcher about her—and in one way in particular. She isn’t a woman running for president. She’s a presidential contender who happens to be a woman. That’s new for the GOP. Women have made remarkable inroads everywhere, but there still may be no tougher realm than Republican politics. This isn’t, as the press suggests, because conservative voters are old fogies who’d chain their wives to sinks full of dirty dishes. It’s because conservative voters demand more from their candidates. Women Democrats pander on gender issues—abortion, birth control, the myth of unequal pay. They promise female voters special handouts. They pitch their womanhood as a qualification for office. And their base loves it. Women Republicans don’t get to engage in such vote-buying. They are expected to be principled, knowledgeable, serious. They are expected to propose policies—sometimes unpopular ones—designed to help all Americans. And, because the general public (both right and left) is still new to the idea of a woman president, they are expected to do all this twice as well as men. This was Elizabeth Dole’s problem in her fleeting 2000 presidential bid. Ms. Dole ran on her gender, arguing America ought to elect its first female president—which was no argument at all. It was a problem in 2012 for Michele Bachmann, who loved to claim special insight as “a mother of five” and a “homemaker.” It was a problem for Sarah Palin, whose occasional flubs allowed late-night comics to undermine her seriousness as a vice-presidential candidate. The Iron Lady didn’t do identity politics, and Ms. Fiorina doesn’t either. At the debate she offered unadulterated substance. She was informed, focused, specific. Want to know what Carly thinks of Putin? Here. Need Carly to explain how hard it is to alter the 14th amendment? Right at ya. Curious if Carly is familiar with Gen. Qasem Soleimani, head of Iran’s Quds Force, and where he’s traveled lately? Boom, boom, boom. 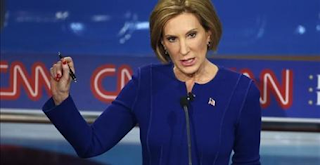 Ms. Fiorina had the opportunity to play the gender card, but she didn’t. Asked about Donald Trump’s comments on her appearance, she might have derided the billionaire as a misogynist. She didn’t. When Chris Christie essentially told her to shut up, she might have looked wounded and wilted. She didn’t. She also seems to have mastered the difference between being emotional and being relatable. Every politician seeks to make a connection with voters, but it’s a tougher balancing act for women. Witness the endless fretting in Hillary Clinton’s camp about how to make her more likable, more human, while still projecting toughness and fearlessness. Ms. Fiorina doesn’t try to do warm or fuzzy or cutesy or folksy. She rarely deviates from her no-nonsense tone. Instead of show, Ms. Fiorina tells. Her story about how she and her husband “buried a child to drug addiction” was a notable moment in the debate. It made her real, a person that many Americans could relate to. As did her obvious revulsion at the practices of Planned Parenthood. None of this is to say that Ms. Fiorina is unaware of the special challenge of being a female candidate. Her debate performance proved she’s in fact highly aware of it, and that certain additional things are therefore required of her. One of these is to offer proof that she can be an effective commander in chief. Guys don’t have to do that; girls do. It’s no accident that Ms. Fiorina was the only candidate to propose rebuilding the Sixth Fleet, to suggest restarting a missile defense program in Poland, and to run through how many Army brigades and Marine battalions are necessary for an effective U.S. military. This gets to the other thing Ms. Fiorina knows she has to do: her homework. Republican female presidential candidates are rare; the base is still getting comfortable with it. She knows she can’t slip up. Her Wednesday performance—from her mastery of facts, to her fluid delivery, to her zingers—was clearly the work of hours upon hours of study and debate prep. It was Thatcher who famously said, “In politics, if you want anything said, ask a man. If you want anything done, ask a woman.” Ms. Fiorina has a long way to go to the presidency. But win or lose, she’s running far better than any Republican woman before her. As you know, my dear people, the last year for me has been an annus horribilus. 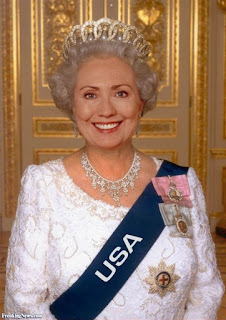 The Royal House of Clinton has been tormented by questions about our handling of finances and subjected to tiresome questions about the tragic events in Benghazi - in the furthest regions of our empire. And, sadly, also questions about my Royal e-mails. Nevertheless, I will not be daunted in my desire and commitment to serve you the people. For the next seventeen months I will be traveling among you as one of you, to listen to your deepest longings and needs. I will be with you in your Wal-Mart and beside you in your Burger Kings. I will drive with you down the busy interstate highways of our land sharing your poverty and needs with you. How well I remember the days when the Duke of Arkansas and I were impoverished. 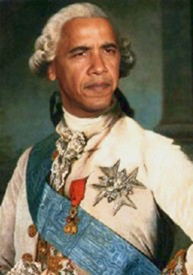 After we were expelled from our Washington Palace we hardly had two mansions to rub together. We were so poor we had to remove thousands of dollars of china, flatware, carpets and gifts from the Washington Palace just to survive, only to be forced to return much of the treasures by Washington. Now, happily, benefactors from around our empire have given just enough for us to scrape by. During those difficult times we had to cut back when our daughter was married. We only had three million dollars to spend on her wedding, and I remember our hopes as she moved into her $10 million Manhattan apartment that one day she would be able to move on from that humble abode to something more fitting. After working for MSNBC for a starting salary of a mere $600,000.00, what could she do. So as I travel across our land to meet you all, I will be listening and sharing with you. Then when the time for the royal election comes I know you will crown me as your rightful monarch so that I can continue the King Obama policies, and we can all live happily ever after. 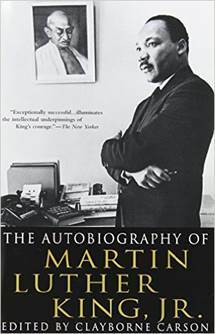 A Fake Book: "The Autobiography of Martin Luther King, Jr."
“The Autobiography of Martin Luther King, Jr.” was written by Professor Clayborne Carson, not Dr. King. That book was first published in 1998, 30 years after Dr. King was killed. Dr. King never wrote an autobiography. Notice the words on the bottom of the cover that read, “Edited by Clayborne Carson.” This is a clever attempt to disguise the fact that the book was not written by Dr. King. In reality, the King estate commissioned Professor Carson to write a book about Dr. King. It should have been written as a biography. Instead, Professor Carson chose to write the book in the first person, as if he, Carson, were Dr. King. This is an absolute fraud. It is impossible to determine what is factual and what is conjecture, or educated guessing, by Professor Carson, a liberal professor of history at Stanford University and the Director of the Martin Luther King, Jr. Research and Education Institute. This fake book is being used by liberals to bolster their false narrative about Dr. King’s party affiliation. Liberals claim that Dr. King was a Democrat. In fact, Dr. King was a Republican and remained so until the day he died. Dr. King’s speeches reflect that he was a minister, a man of God, who would not have sanctioned the type of liberal/progressive/socialist policies that destroy black communities. 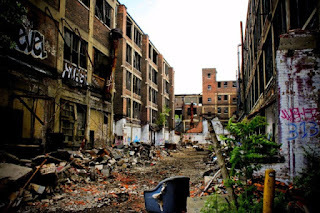 Democrats have been running black communities for the past 50 years and the socialist policies of the Democrats have turned those communities into economic and social wastelands. Dr. Martin Luther King, Jr. was a Republican and no amount of re-written history by liberal/progressive/socialist Democrats will change that fact. To summarize, Trump says almost exactly then that he says now! He talks about how the Japanese are ripping us off. He predicts George Bush would win the election, even though he praised Bush's opponents! 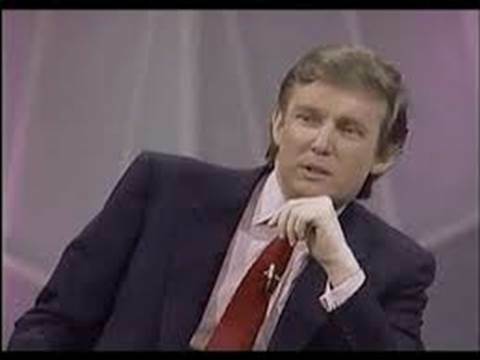 Then, when asked would he run for President, Trump stated, "I do not think I would do it now...but...if this country continues to go down...then I would...and if I did...I intend to win...!" “We’re a debtor nation. Something’s going to happen over the next number of years…we let Japan come in and dump everything right into our markets…it’s not free trade! “Go to Japan right now and try to sell something– forget about it…and hey, have tremendous respect for the Japanese people. I mean, you can respect somebody that’s beatin’ the hell out of ya. 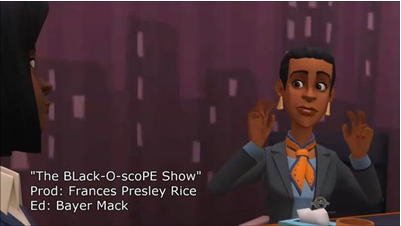 Premiering this fall exclusively on Block Starz Music Television, "BLack-O-scoPE" is an animated/live-action talk show from executive producer Frances Presley Rice, which takes a humorous look at news and events impacting the African-American community. In the post-civil rights era of the last half-century, a number of black triumphalist slogans and movements have come and gone. “Black is beautiful” was an informal self-help attitude that sought to encourage blacks not to emulate so-called arbitrary constructs of white majority aesthetics, but instead to rediscover a natural black essence — from Afros to Ebonics and Kwanzaa — that need not be discouraged. “Black power!” was a more assertive, political, and collective strain of “black pride.” It unfortunately descended from legitimate efforts to organize blacks collectively into an effective political force (e.g., the resulting “black caucus” in Congress) and finally into the violence and incoherence of the Black Panthers and other nihilistic violent groups, whose chauvinism was fueled by their own versions of abject racism. It too is now forgotten. In the 1990s came a more informal angst characterized by the slogan “It’s a black thing. You wouldn’t understand.” This fad sought, in in-your-face style, to remind non-black America, but especially its white majority, that there was an exceptionalism in African-American popular culture that could never really be emulated or adopted in any genuine manner by non-African American wannabes — much less co-opted by naïve do-gooders or conniving profiteers. It was a separatist idea that assumed society’s reciprocal standard did not apply to itself. Now there comes “Black Lives Matter,” a movement that argues that reckless law enforcement habitually shoots and kills black suspects in disproportionate fashion and due to racist motives — a crime spree that is supposedly empowered by the general neglect of the white population. But like all the other past racially chauvinistic movements, “Black Lives Matter” will fail to convince anyone outside a small subset of African-American urban youth to embrace its ideology and advocacy. A year from now it will become another artifact like “It’s a black thing.” It was, after all, the logical denouement to Rev. Wright and the Obamas’ “get in their face,” “punish our enemies,” “typical white person,” “clingers,” “downright mean country,” “never been proud before,” “stereotyping police,” Travyon as the son Obama never had, and the assorted “you didn’t build that,” “not the time to profit,” and lectures about knowing when to quit making money. At some point whining causes weariness. There are many reasons why Black Lives Matter will be gone within a year. And if we did, we would object that such chauvinism had crossed some unspoken line. The problem with all of these racial-pride movements, although they are certainty more than that, is that there is a shelf-life to them. Eventually they are subject, fifty years after the civil rights movement, to the same rules and manners that other groups abide by. When most people who are non-African-American hear “Black Lives Matter” — just as they did with “It’s a black thing. You wouldn’t understand” — they do not compute slavery or Jim Crow, especially the tens of millions of youths who grew up in the era of affirmative action, not segregation in the South. Instead, they shrug “OK, whatever” and concede such separatism, and then draw back from the goal of a racially blind, integrated society. In other words, racism is racism and separatism hurts the black community most of all. Black Lives Matter is based largely on a lie. President Obama has referenced “Ferguson” as if it automatically invoked some sort of racial solidarity or was synonymous with bias. But what exactly does Ferguson mean? That Eric Holder’s Justice Department found no criminal culpability in the Michael Brown shooting? 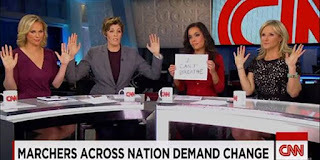 Note the quick disappearance of “Hands Up, Don’t Shoot” as a national rallying cry, given that it was a total fabrication based on a mythical account from a disreputable witness with a criminal record. In the most sensationalized cases where unarmed suspects have died after coming into contact with police — Michael Brown, Freddie Gray, Eric Garner, Sandra Bland, etc. — while there may be reason to object to police attitudes or protocols, so far there has been no legal verdict that finds police guilty of manslaughter or murder, and some reason to believe that there were additional or in fact entirely extraneous reasons for the tragic deaths and not just alleged inordinate police violence. There is also no evidence that black suspects are killed at a higher frequency than other groups that are detained or arrested by police. The honest base statistic is not the percentage of blacks in the general population, but rather the pool of all Americans who are detained or arrested by police. In the latter case, blacks are not dying in inordinate, much less epidemic fashion in comparison to the percentages of other groups arrested and detained. 1) If black lives really do matter, where is the commensurate outrage at the real epidemic of black-on-black murder? Faulting the lack of gun-control laws is banal, given that almost all the suspect shooters have prior criminal records that under any existing gun laws would, if enforced, have denied them legal access to guns. At some point, nearly 7,000 blacks murdered by other blacks each year matter as much as roughly 130 who die annually as a result of interaction of all sorts with law enforcement. 2) Interracial violence is relatively rare in America, but to the extent that it exists, blacks are far more likely to inflict rather than suffer from it. Either race matters as an incitement to violence or it does not; if it does in matters of policing, then surely it does as well in interracial crime? 3) At some point, those blacks who are self-appointed collective advocates must address the inordinate crime rate of the inner-city male young African-American, a small section of no more than 3-4% of the U.S. population that commits often 50% of several varieties of reported violent crime. It is legitimate to debate the social and cultural causes of such sky-high criminality, but not to either deny that it exists or to suggest that it does not contribute to volatile police interactions or to a general negative perception of such inordinate behavior by other groups that are less statistically likely to commit violent crimes. 4) America is not the old America. American racial polarity was for centuries a product of the old binary of 90% so-called white and 10% so-called black population. No longer. Immigration, assimilation, and integration have redefined race. When race is constructed as in the case of Rachel Dolezal or Elizabeth Warren, or those of mixed ancestry are arbitrarily racially categorized (e.g., George Zimmerman as a “white Hispanic” [in similar liberal parlance is Barack Obama a “white black”? ]), then the old divides no longer apply. In almost every family, there are interracial members and intermarried couples. Are they to resort to mini-civil wars that trump familial ties each time some ethnic group appeals to racial solidarity? Black versus white is now a reactionary construct, when non-European, non-white immigrant groups often achieve average incomes above the so-called majority. Black Lives Do Matter if we consult the statistics of black representation in the federal public work force where blacks are more than fairly represented, given their percentages of the general population. If black lives don’t matter, then no one told the president of the United States, the attorney general and several cabinet officials. By the same logic, examine the NBA player roster or the NFL coaching pool, and one might object that Asian Lives Don’t Matter at all. 3) So what is the problem? Black Lives Matters did not resonate — even before its more firebrand members openly called for the shooting of police officers and embraced racist language. Why? Because most of it was based on a series of lies. Equality under the law — even when and if it is strictly applied and constantly monitored, or in fact weighed for minorities as in the case of set-asides and affirmative action — does not ensure, in a free market republic like the United States, an equality of result. After fifty years of civil rights legislation, perhaps somewhere between a third to half of the black population has not achieved parity with other population groups. In response, black elites seek to leverage government to ensure parity (“disproportionate impact”), based on perceived grievances. Threats of unrest and collective violence by the urban underclass often come in handy. But other groups, subject to present and past discrimination, from Punjabis to Arab-Americans, do not embrace the same racial chauvinism. There are no Cuban Jesse Jacksons or Asian Al Sharptons. Moreover, it is not clear how affirmative action for the children of Eric Holder or Michael Jordan helps the inner-city population. Class, in other words, in America increasingly trumps race, and the two are not always synonymous. Black elites parrot the charge of “white privilege,” but usually to other black and white academic and journalistic one-percenters and often in careerist fashion. If they sincerely believed in “white privilege,” they would have tested their theories at town meetings among the destitute in Appalachia or appealed to poor rural Oklahomans to be more self-critical on how their race has given them a supposed leg up in the American rat-race. It is a hard sell to insist that poor white Delmas Marshall of rural Arkansas has it made compared to a tormented Oprah who claims she was treated rudely over a trendy purse in Switzerland or a supposedly marginalized Morgan Freeman who occasionally whines that not supporting Obama is proof of racism — or the 21% of the federal Postal Service workforce that are black. Finally, we come to the pernicious role of self-serving white elite liberals who castigate conservative blacks, who do not see their own race as key to their identities. The reason liberals despise Clarence Thomas or caricature a Ben Carson, more so than they do white conservative justices or public figures, is the threat that they pose to the entire engine of liberal condescension — and Democratic politics. When successful blacks prove that they easily compete in the marketplace of talent and ideas without liberal racial policies and their political henchmen, then the entire architecture of liberal racial politics collapses. The disdain shown a Thomas or Carson suggests that liberal racial politics serve as private medieval penance in the abstract, and at little personal cost for assuaging guilt over liberal apartheid. If one were to examine the schools, neighborhoods, and socializing of liberal white elites, one would discover that their rhetoric was used to mask, rather than to confirm, the lives that they lead. A final note. Words matter. The most abject racist could not have invented a more effective way to achieve racial polarization than the many current manifestations of the “Black Lives Matter” movement. 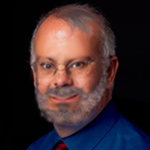 Did a racist think up the movement’s absurdities: its criticism of “All Lives Matter,” the implicit encouragement of violence against the police who alone battle barbarity in the inner city, the constant whine about white privilege that is sloppily addressed and often reverberated by whites who enjoy it against other whites who do not, the cynical use of the movement by black elites whose privileges sometimes derive from the disparities of the underclass — and the reluctance to discuss and address the epidemic of inordinate black illegitimacy, crime, drug use, rap vulgarity, social service dependence, and the romance of the violent cult of the male, all of whose assuagement could lead to parity? Black Lives Matter will shortly be history, like the age of Obama that empowered it, as it falls by the weight of its own contradictions and hypocrisies. A year from now it will be as heard as often as “black power!” — and replaced by yet another popular slogan to avoid confronting truth and reality, even as most people of all races struggle to get along.